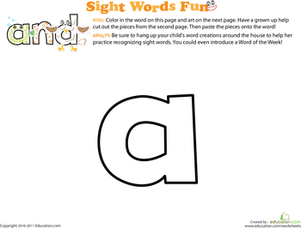 Want a new way to help your preschooler learn sight words? Try decorating one! 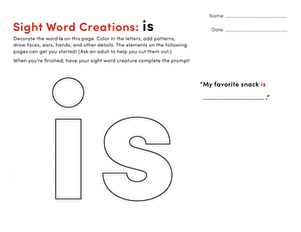 In this fun printable, kids get to colour and decorate the word "a" with silly eyes, wings, feet, and other fun features. 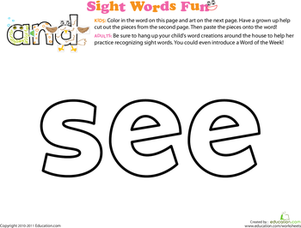 Check out the SeriesFor more sight word fun—there are 40 in all! 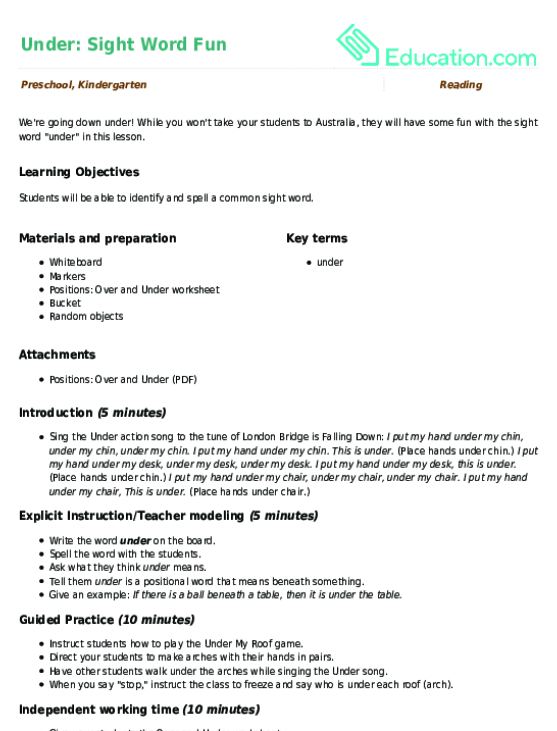 While you won't take your students to Australia, they will have some fun with the sight word "under" in this lesson. 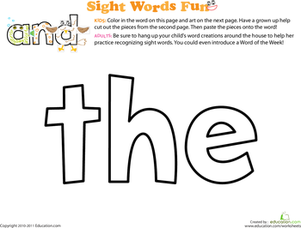 Practise sight words with this simple sight word worksheet. 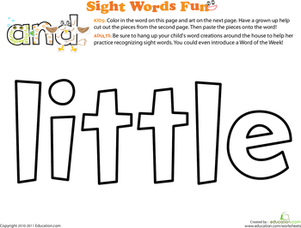 Part sight word practise, part arts and crafts project, this cute make-a-creature printable helps drive home tricky sight words in a fun and engaging way. 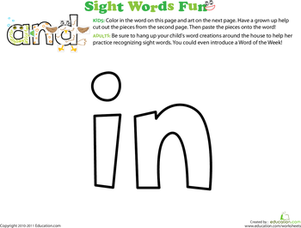 Looking for a fun way to introduce your preschooler to sight words? 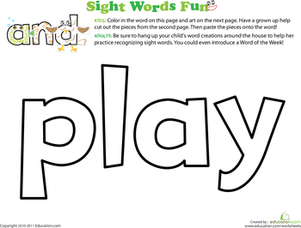 Blending coloring and decorating--this fun activity explores the word "play." 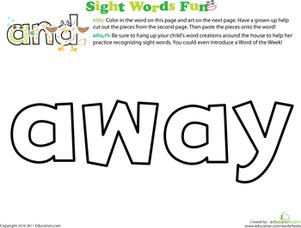 Jump into sight words with a fun word art project. 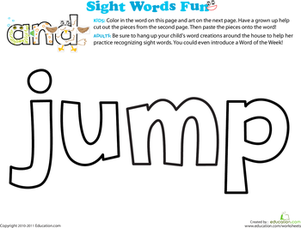 In this printable, kids can deck out the word "jump" with bright colors and silly animal parts. 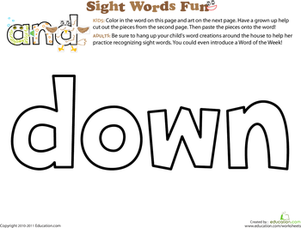 Get your preschooler excited about reading with a fun sight word activity. 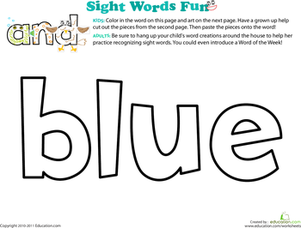 Help her learn the word "blue" by coloring it and turning it into a cute creature.